Angeline M. Bishop writes contemporary romance fiction and has a growing fan base. Angeline's novels are thought-provoking, refreshingly entertaining, fast paced, and with a strong romantic elements. She was born in Washington, D. C., but lived most of her life in New Jersey and considers the 'ʹGarden State'ʹ her home. Her childhood passion for writing led to a degree in English Literature and a membership in Romance Writers of America. Radio podcasts each Fall with her pop-culture loving, college-aged daughter. 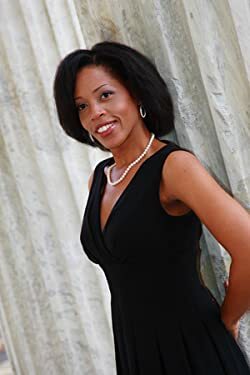 And she's the founder of the AMB Ovation Awards (The Angie) which provides honor and recognition of authors' outstanding achievements in the multicultural romance literary profession. She's partnering with Clean Reads (formerly Astraea Press) to present the Jacmuir Series, a multicultural New Adult series inspired by her young adult reader fan base. She is also presenting the Sheridan Series with Soul Mate Publishing, a multicultural contemporary romance series with a strong family bond. Angeline loves to hear from her readers. You can contact her through her website: www.angelinembishop.com. Please enter your email address and click the Follow button to follow Angeline M. Bishop!